Thank you to Browder's Ace Hardware for conducting a Book Drive to benefit Kingston Elementary School! 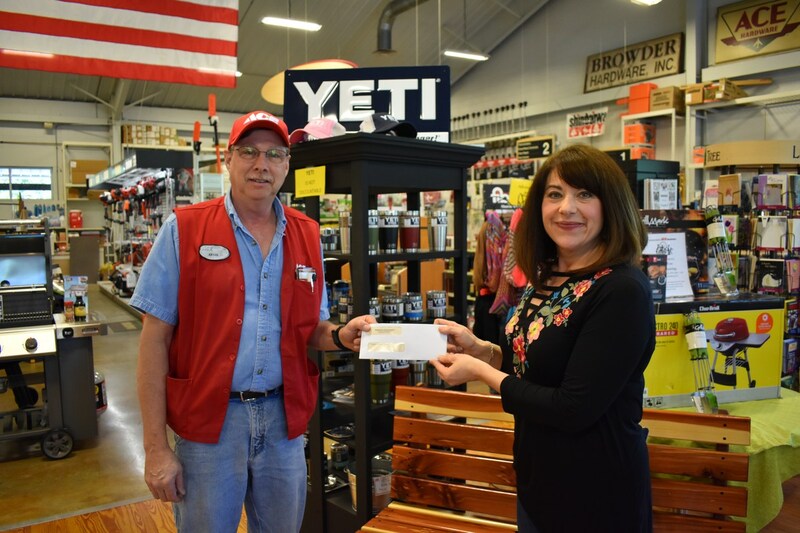 Browder's Ace Hardware in Kingston held a book drive during the month of February to benefit Kingston Elementary School. In the picture is Laura Taylor, KES Librarian, and Kevin Smith, manager of Browder's. 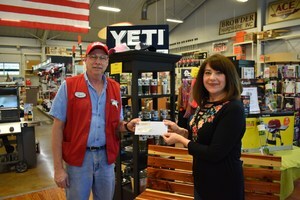 Robin Cacopardo, the new owner of the hardware store, coordinated the book drive and took the books to McKay's in Knoxville. KES received $280 and a $33.00 store credit to McKay's bookstore. Thank you Browder's for supporting our schools and encouraging the love and enjoyment of reading!